OPENING SPEECH DELIVERED BY THE HONOURABLE MINISTER OF MINES & STEEL DEVELOPMENT (ARC. MUSA M. SADA, FNIA; FNMGS) AT THE 28TH ANNUAL CONFERENCE AGM OF THE NIGERIAN METALLURGICAL SOCIETY (NMS) HELD AT THE NATIONAL SPACE RESEARCH AND DEVELOPMENT AGENCY, AIRPORT ROAD, ABUJA ON THURSDAY 1ST NOVEMBER, 2012.
wish to express my profound appreciation for the honour and confidence you have bestowed on me to deliver this opening speech at this important occasion. 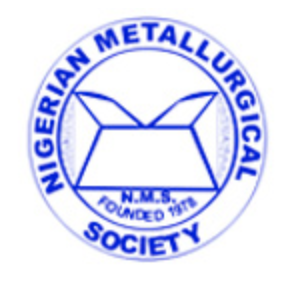 The Nigerian Metallurgical Society (NMS) is one of the highly respected professional bodies in Nigeria. It has come of age, contributing immensely in the development and sustenance of progress attained in the sector. This singular effort has emerged as the backbone of the Metallurgical sector providing a solid platform for meaningful industries activities. In 1971 it established the NSDA which was later unbundled to two integratedsteel plants at Ajoakuta and Delta, three inland rolling mills and other supporting agencies Government Conceived the steel project as a strategic industry. It was envisaged that the project would generate a myriad of socio – economy benefits and incase the productive capacity of the nation through its linkages to other industrial sectors. Government against all odds, forged ahead to established the gigantic steel complexes which gulped several billions of dollars, but later the task of subtainably running them became a problem. 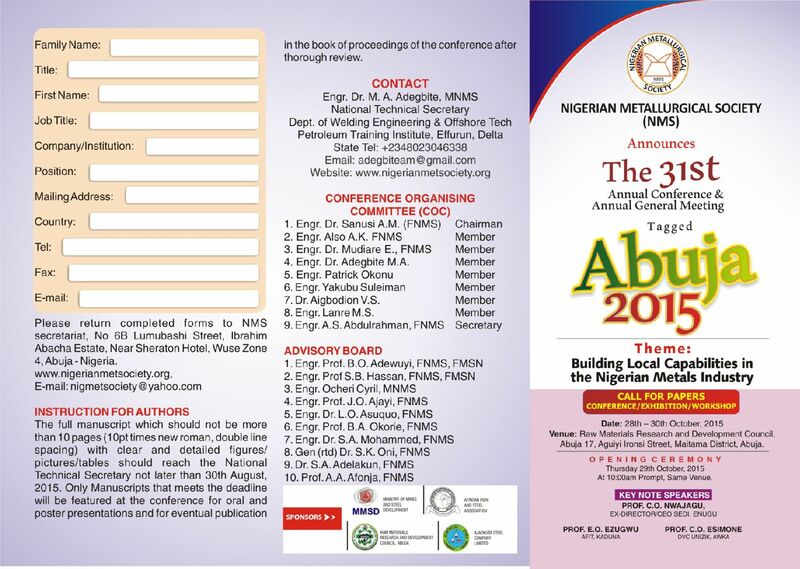 The theme for this conference “The Unfinished Task of Steel Production in Nigeria Challenges of Our Time” should be regarded as a wakeup call to all Nigerians. This re – awakens in me a renewed zeal to pursue the onerous task of developing the nation’s minerals and metals sector. Since I became the minister of mines & steel development, I have come to understand the stiff challenges facing the steel sector in Nigeria. The prognosis of this situation is the mineral and metal sector holds the key for economy diversification in Nigeria which is a condition for job and wealth creation. Create potential for job creation and entrepreneurship through the development of artisanal and small scale mining, under the one – miner – per – local – government – area –initiative. Nigeria has enjoyed the benefits and also embraced the challenges that camewith oil discovery but in recent times the government, having learned from the experience of other developed nations and the fluctuating fortunes of the oil industry, decided to seek alternative sources of revenue generation to boost our foreign reserves. This has led to recent emphasis on developing the non – oil sector of the Nigerian economy. The good news is that we are working the talking now. We have been able to articulate a roadmap in the context of the emerging realities of our challenges, to address the challenges and move the sector forward. Our roadmap in this Endeavour represents the condition for mutual accountability for the expected result outcomes. It is also our desire to sign a compact with stakeholders who have roles in the non – oil minerals sector to play their part under one result matrix which is to diversify the economy by widening and deepening the productive forces of the sector and by appreciating the values of our ecological condition in consonance with global best practice. By that means, we can get the sector to contribute to the GDP from the current 0.4% to at least 5% by the year 2015 and 10% by 2020, respectively. The recent attention being paid on the minerals and mineral sector has led toGovernment putting in place far – reaching reforms to reposition the minerals and metals sector in order to contribute to the growth and development of the nation’s economy. in line with this vision the ministry of mines and steel development carried outmajor reforms through the development support of the world bank mainly to develop and present to the public a minerals and metal policy which served as the basis for the establishment of the mining act and the mining regulations. This grand initiative guarantees attraction to foreign direct investment (FDI) into the minerals sector. Establishment of the mining cadastral office (MCO) to administer mining titles “with integrity and in a transparent manner on a first – come – first – serve basis”. forward to the Federal Ministry of Justice for further action. It is when this bill has been passed by the National Assembly that we can say we would be able to establish the necessary regulatory Guidelines that will help create the needed impetus for investors to harness the potentials of non – ferrous metals as industrial minerals production is already on course in Nigeria and would be given further encouragement. Establishing thirteen (13) mineral buying centers to add to already existing ten (10), brining to a total of twenty three (23) mineral buying centers available in the country. Establishing an investment promotion centre in the ministry as a one – stop – shop to promote the investment potentials of the ministry to local and foreign investors. Finally, I wish to use this opportunity to call on you the members of the professional bodies associated with the Mines and Steel sector to prevail on your members to buy into the vision of government in the onerous task of repositioning the minerals and metals sector for greater performance. All hands must be on deck to see to the creation of the needed synergy that will enthrone viable minerals and metals sector for the overall benefit of all Nigerians. 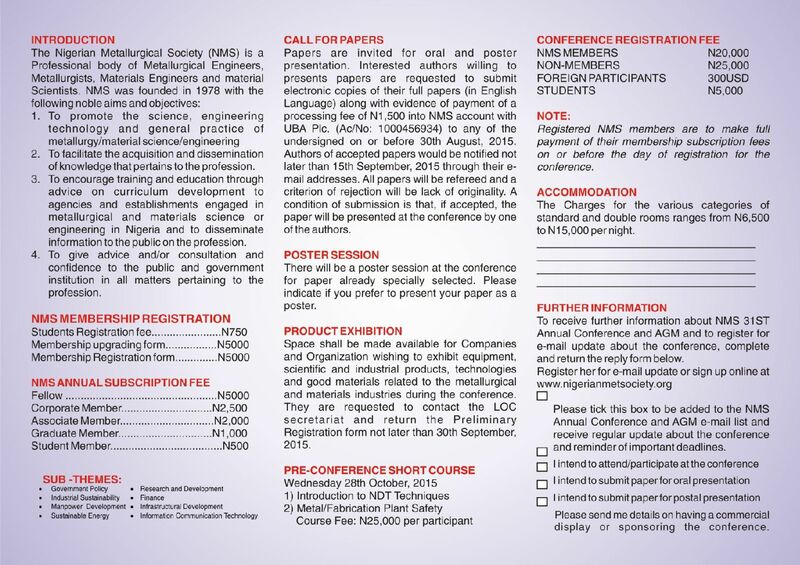 I wish the organizers of this Conference a very engaging and fruitful deliberation.